Large print checks, check writing guides, and talking calculators may help keep you managing your own finances and maintaining your independence. Large number check can be purchased through your local bank. The print is much larger and bolder than those on regular checks and the size of the checks are much bigger. The larger checks will still fit into a standard-sized legal envelope. Printed on white paper with large black print makes them easier to see and read. Raised lines that can be felt as well provides guidance for where to enter information. If you are not ready for the larger sized checks, be sure to buy the plain checks with no design or pattern in the background. Select black print to provide you with the most contrast. 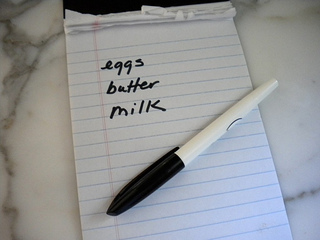 Use a bold black pen that offers better contrast for better visibility while writing out your checks and filling in your check register. Handing over our finances to someone else is not an easy decision. If you want to continue to manage your own money try some of these tips and aids. 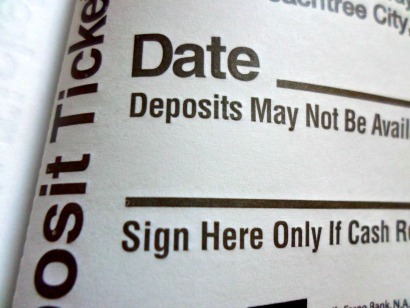 It is much easier to record your checks in a check register that provides larger spaces between entries and dark black lines to divide the spaces as well. Not only will it be easier for you to write you entries, it will be easier to see them as well when you balance your monthly statement. Instead of writing with a fine ball point pen, find a larger tip pen that writes in bold, black ink for the best contrast. Keep this check writing guide in your checkbook. 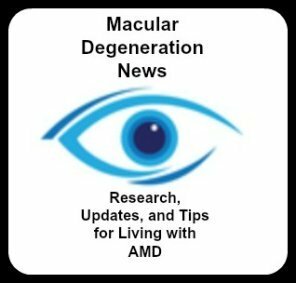 It is a great low vision aid to assist you in writing your bills. Write the date, amount, etc. in the right spaces. Use a large tip pen called 20/20 pen so that you can easily see what you are writing. To simplify your bill paying, you can ask most of your utilities to set up automatic withdrawals from your checking account. Another option is to have your monthly phone, garbage, internet bills put on your credit card. That way you are writing less checks and balancing your checkbook is easier with less entries. See what a difference a large number calculator makes? Not only are the numbers and key pads large, but the bold black numbers on the white keys provides the perfect contrast for those with macular degeneration. The large size key pad makes it easy to press the right number and the bold, black numbers makes the numbers easy to see. The extra large screen displays the numbers in big, bold print as well. If you find that the large number calculator is not working for you anymore, consider trying a talking calculator. This calculator speaks the numbers and results in a clear voice with the ability to adjust the volume. To hear the voice even better use the earphones. The large key pads and large, bold numbers make it easier to see as well. 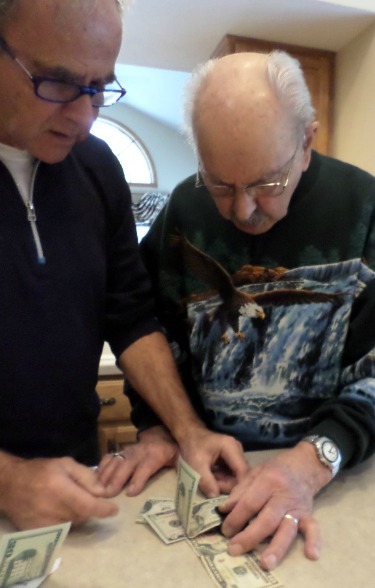 Using these types of checks and large number calculators are just a few of the low vision aids that can help you stay independent. Do you have trouble telling a one dollar bill from a 10 dollar bill? Not sure if you are getting the right change back? You may be eligible for a free bill reader. 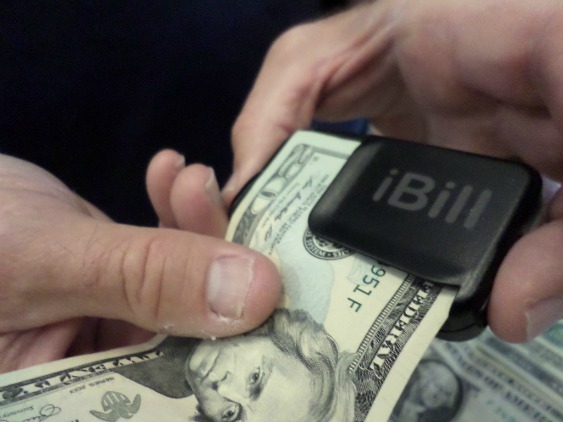 The small device works by simply putting your bill into the slot on top. Press a button and you will hear a voice state the number of the currency - such as "one" or "five." There is an adjustable volume control if you have problems hearing the announcement. It automatically turns itself off. An earphone can be used with the iBill reader or it can be used in vibration mode. All U.S. citizens, or persons legally residing in the U.S. who are blind or visually impaired can request a free currency reader from the Bureau of Engraving and Printing (BEP) . Those who are currently patrons of National Library Service for the Blind and Physically Handicapped, Library of Congress, (NLS) simply contact their NLS regional library or call 1-888-NLS-READ. They must fill out an application which is provided in both English and Spanish. The application must be filled out completely, signed by a competent authority who can certify eligibility.